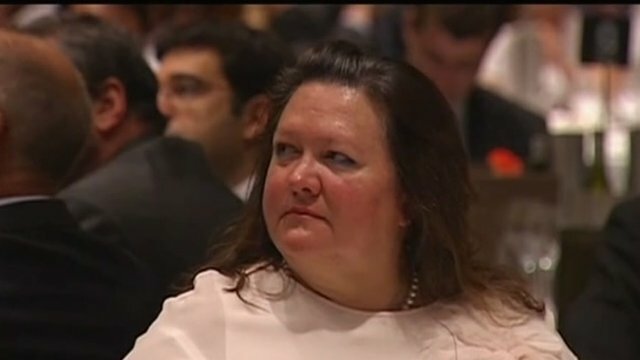 World's richest woman calls for wage cut Jump to media player Australian mining magnate Gina Rinehart has criticised her country's economic performance and said Africans willing to work for $2 a day should be an inspiration. 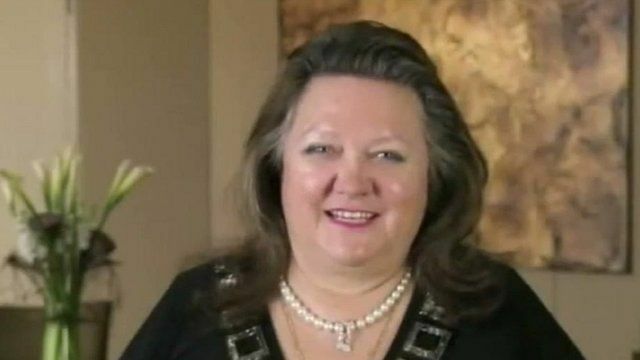 Asia's 'richest woman' in feud Jump to media player Australian mining mogul, Gina Rinehart, is said to be Asia's richest woman with an estimated wealth of more than $18 bn. Australian mining magnate Gina Rinehart has criticised her country's economic performance and said Africans willing to work for $2 a day should be an inspiration. Ms Rinehart is reported to be the world's richest woman and her views have been dismissed by Prime Minister Julia Gillard. Duncan Kennedy reports from Sydney.